When patients are told they need orthodontic work we often hear, “Is Invisalign better than braces?” This can be a loaded question because it isn’t really a matter of one treatment option being better. Both Invisalign and braces are effective at straightening the teeth, they just do it differently, so it becomes a matter of choosing which treatment option is best for your unique situation. If you are in the Philadelphia area and have been wondering what solution is right for you, we can help! At David Spilkia Family & Cosmetic Dentistry, we have the experience necessary to evaluate your orthodontic issues and recommend which solution will work best for you. Before deciding which treatment is best for you, we must look at the differences between braces and Invisalign. 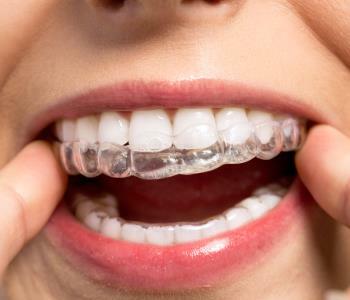 Invisalign uses clear, plastic aligners that move teeth into the proper alignment. Patients wear the aligners for 20 to 22 hours each day, taking them off only to eat and drink or brush their teeth. Aligners are switched out every two weeks as teeth continue to move into place. Typical treatment time for Invisalign averages about a year. Traditional braces use metal brackets that are attached to the teeth and are connected by wire. This type of system puts pressure on the teeth to move them into place. The wires are periodically tightened and adjusted to keep the teeth moving. Treatment time can take from one-and-a-half to three years. Now that you understand the difference between Invisalign and braces, it’s time to figure out which solution is best for you. The following criteria can help you understand your situation and pick a treatment plan. If you have found that your case is severe or rare, you may need to pursue metal braces, however if you can be treated by either method, choosing becomes a matter of personal preference. The following considerations can help you make your decision. 2.Is your appearance a major concern? 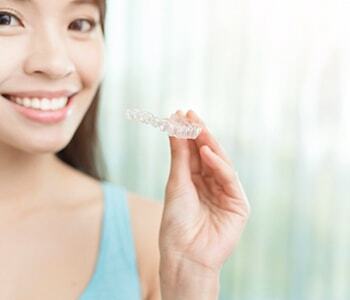 One of the reasons Invisalign has gained so much popularity is that the aligners are virtually transparent which means most people won’t even notice you are wearing them. Traditional metal braces are very visible. 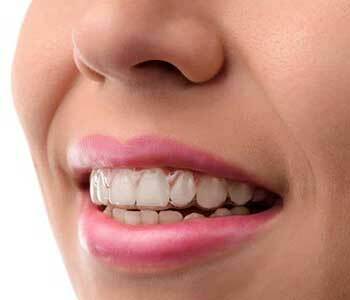 Traditional braces with the bulky brackets and wires can make oral hygiene challenging. Patients with traditional braces often report having difficulty brushing and flossing certain areas of the mouth. Invisalign trays are removable, which allows you to easily take them out for oral hygiene. While this is a great benefit, it’s also important to point out that Invisalign only works the way it is designed to work when patients are compliant. Compliancy requires wearing the trays for at least 20-22 hours each day, so if you are taking your trays off to eat and clean your teeth you must remember to put them back on immediately. 4.How much time do you have for follow-up visits? Traditional metal braces require visits every four weeks for tightening and adjustments. Invisalign trays need to be swapped out every two weeks, but you can do this at home, because you are given a series of aligners. This means you only must come to the dentist every six weeks for a visit. In the end, both Invisalign and traditional braces can be effective methods of straightening the smile, if the case isn’t too severe. Deciding which one is best for you depends a lot on personal preference. If you are on the fence about which orthodontic treatment you should choose, contact the team at David Spilkia Family & Cosmetic dentistry today to schedule a consultation. We’re happy to help patients in determining which treatment plan to choose.